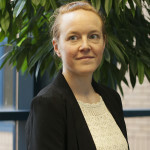 Victoria has 10 years’ experience in education, policy research and analysis, fundraising, and business development. She holds a Masters with Distinction from the University of Warwick and is working towards a PhD exploring cultural entrepreneurship. Since 2011, Victoria has built up her research experience and contacts across the cultural and creative industries, and combines her reputation for candour and honesty with a dry sense of humour. For Earthen Lamp, Victoria’s methodical approach, clear writing style, innovative thinking and attention to detail have been beneficial in producing research reports, marketing plans and audience development strategies. Curiously, Victoria does not consider herself an active person, but since 2011 has trekked to Everest Base Camp, learned to climb, ski, and kayak, qualified as a Mountain Leader, and run her first marathon. To offset all this, she also sets herself less athletic challenges – following / inventing new recipes, knitting and crochet, and indulging her voracious appetite for reading. Community-spirited, Victoria enjoys the range of people she meets through research work, and also volunteers for a local education charity. She is a member of the Arts Marketing Association and a Fellow of the RSA.